After the great urban sprawl of the second half of the 20th century, Australian cities have experienced a sort of re-urbanisation as the population grows, and we re-embrace the inner-city. The densification of our inner-cities has a considerable impact on infrastructure, and state government's have looked to resolve the situation by thinking vertically. The South Australian, Victorian, New South Wales and Queensland governments have all committed major funding to vertical schooling within their most populated cities, and this trend doesn't appear to be slowing. 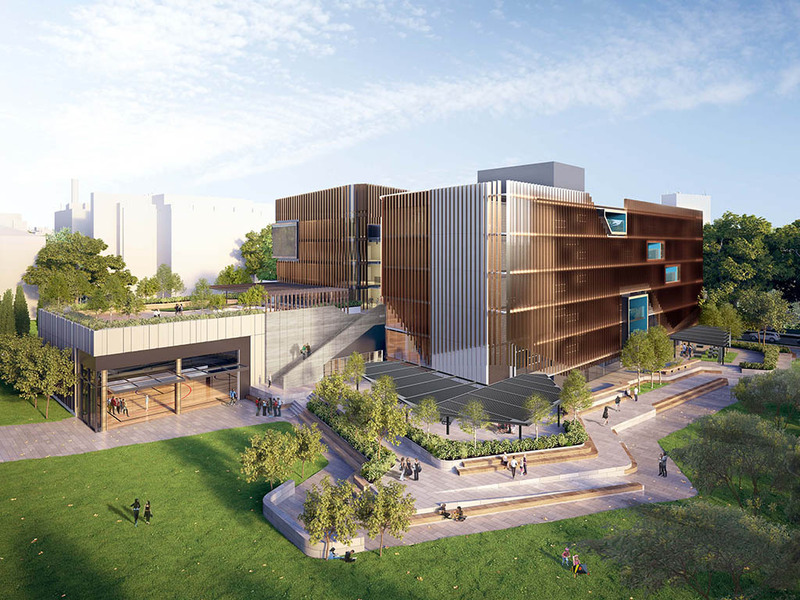 The Urban Developer has uncovered seven vertical schools around the country reshaping the way education is delivered to the next generation of Australian students. Arthur Phillip High School reaches 17-storeys as part of the $5 billion NSW School Infrastructure program. Arthur Phillip High School and Parramatta Public School are two schools in the midst of a $225 million vertical school redevelopment. Arthur Phillip High School’s height have soared to 17-storeys, in a move that saw it become NSW’s first public high rise school, while Parramatta Pubic has also climbed to four. Arthur Phillip High School is NSW's first public high-rise school, soaring to 17-storeys, while Parramatta Public has already reached four-storeys. Designed by Grimshaw Architects and BVN, the schools aim to cater for NSW's growing population, which is estimated to require an additional 164,000 public school spaces by 2031. Australia's largest state will need to accommodate a 41 per cent growth rate of school-aged children in the next decade. 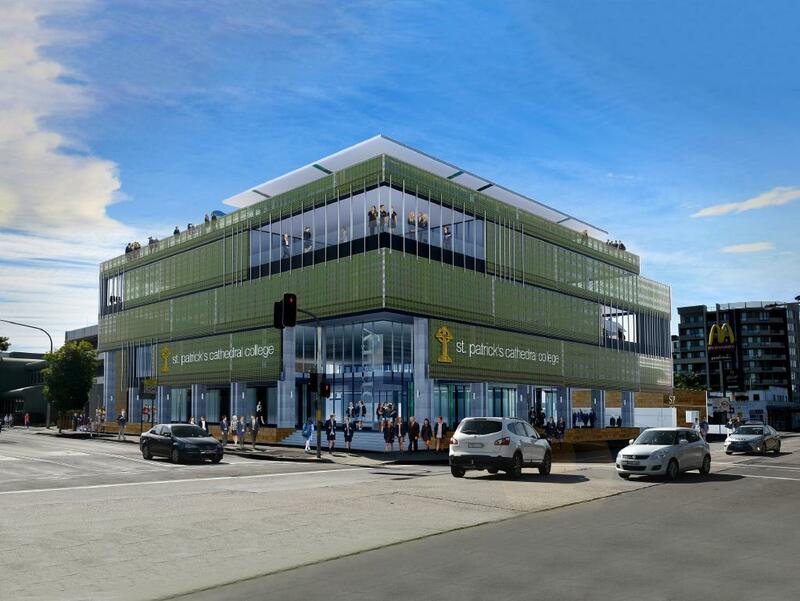 The schools are located in the heart of Parramatta CBD – a current hot spot for property development. The new facilities are scheduled to open in 2019. The $60 million Surry Hills vertical High school will feature 47 classrooms, and a grassed rooftop catering to 1200 new students. 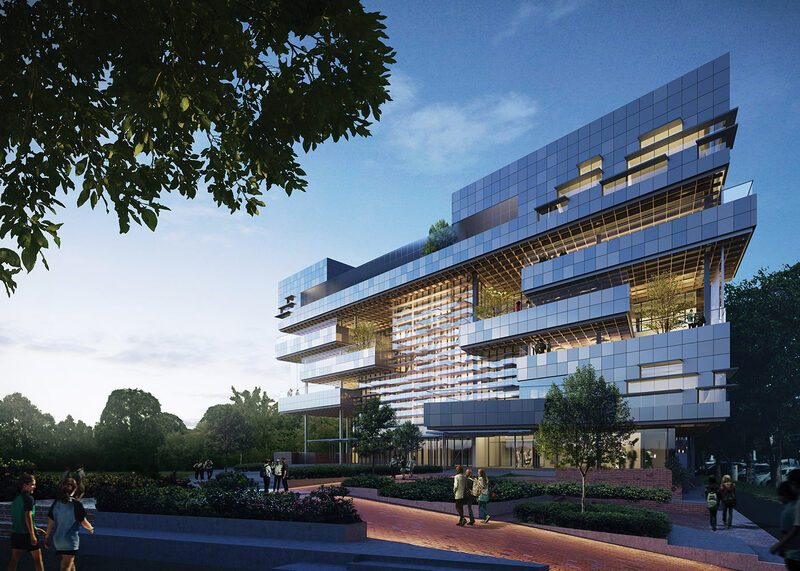 Surry Hills High School is a new $60 million vertical school planned for completion in 2020. Designed by FJMT Architects the new buildings will house 47 classrooms, a gymnasium and grassed rooftop that caters to 1200 new students. Located two kilometres from the Harbour City’s CBD, Surry Hills High will join the list of schools included in the $5 billion NSW government investment scheme to combat the overcrowding crisis. The new five-storey vertical school for St Patrick's Cathedral College. As education continues to move upwards, St Patrick's Cathedral College will see a new five-storey vertical school. Plans for the building include a modernistic rooftop, recreational space for students from preschool to post-school and in catering for modern families, the school will keep its doors open from 6am to 6pm. The multi- campus school will cater for 2000 new students by 2020. The school is located in St Patrick's Square and is one of the 12 new schools needing to be built every year to keep up with the Sydney region’s population demand. Two new vertical schools for inner city Brisbane as part of state government's $500 million proposal. 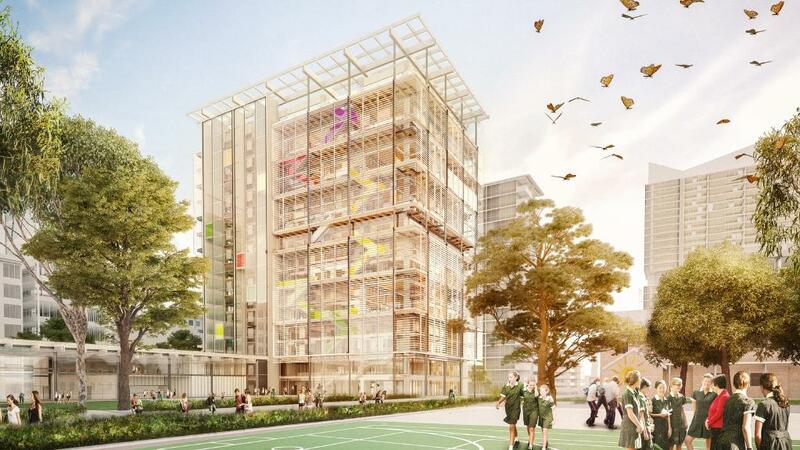 The Queensland government announced a $500 million proposal for two new vertical schools in Brisbane’s inner city region by 2020. Seeing as the last new school built for the inner city area dates backs to 1963, you could say it was time. The last new school built in Brisbane's inner-city area dates back to 1963. The first of the two schools will be based at the former Fortitude Valley school site. The second of the two schools will be located in South Brisbane servicing the inner-south region. West End state school will also receive an upgrade with the cost of the project included in the $500 million budget. More than 5000 students have been added to the state school system in the Brisbane CBD over the last decade. Growth statistics estimates an extra 3000 students in the next five years. Is this the future of our schools? 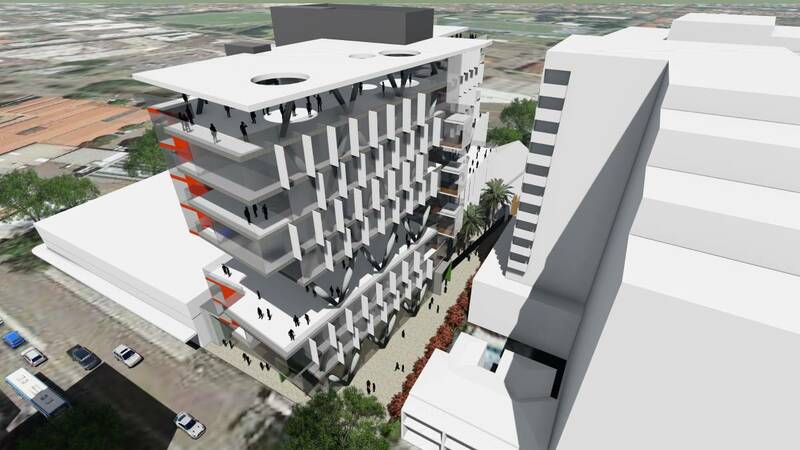 The 12 storey high rise planned for Newcastle's WestEnd. A 12-storey high rise school is on the cards in Newcastle’s revived West End. Taking inspiration from Newcastle University each level of the building will service a different year group, with kindergarten taught on the first floor and year 12 on the top level. Newcastle education placed a development application for $90 million at the end of 2017. And as construction begins this year the new school will cater for more than 1250 students from preschool to senior year. Located on a 4000 square metre lot the vertical school developed by Core Project Group and designed by EJE Architecture will include an indoor sports hall, lecture theatres and function centres. It’s projected an additional 5000 student-aged children will be living Newcastle in the next 15 years. 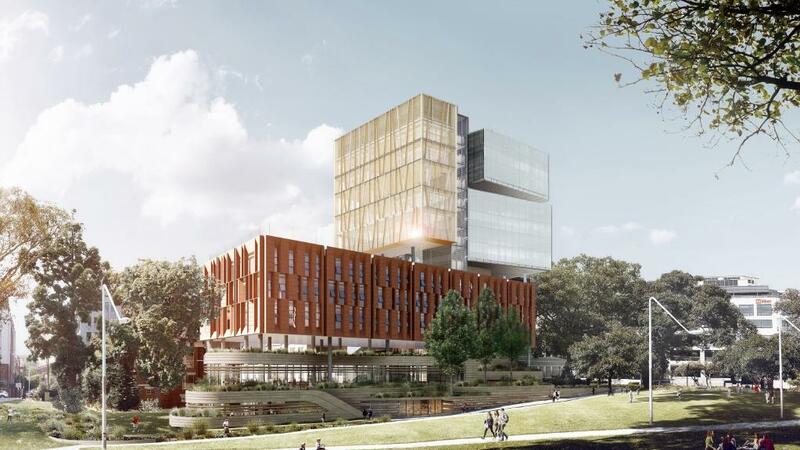 The $100m Adelaide Botanic High School will be a 7-storey building located in the CBD. Cox Architecture with DesignInc. The high-rise education trend continues in South Australia’s capital city with its first vertical school to open by 2019. Adelaide Botanic High School will cost an estimated $100 million. The 15,750 square metre block designed by Cox Architecture and TCL incorporate an environmental design to minimise energy and water consumption in support of Adelaide's pledge to the Zero Carbon Challenge. The 7-storey building within the CBD will cater to 1250 students by 2021. It will include the construction of food technology kitchens, library and research centres, an indoor gymnasium and basement parking for 170 bicycles. Sustainable solutions to urban density, this one time office building became Haileybury City Campus located in Melborne's CBD. Melbourne’s first vertical school, Haileybury City Campus, opened in January 2017. Prior to its renovation the building functioned as a call centre. This one-time office block has 360 degree views of Melbourne’s city. The 10-storey building has two floors dedicated to art facilities with a professional standard drama studio. The school also hosts a sports hall and university level science labs. Students are dropped off in an underground basement and are also provided with bike storage. The architectural design accommodates 1500 square metres of outdoor spaces and gardens for its 800 students ranging from Early Learning to Year 12. 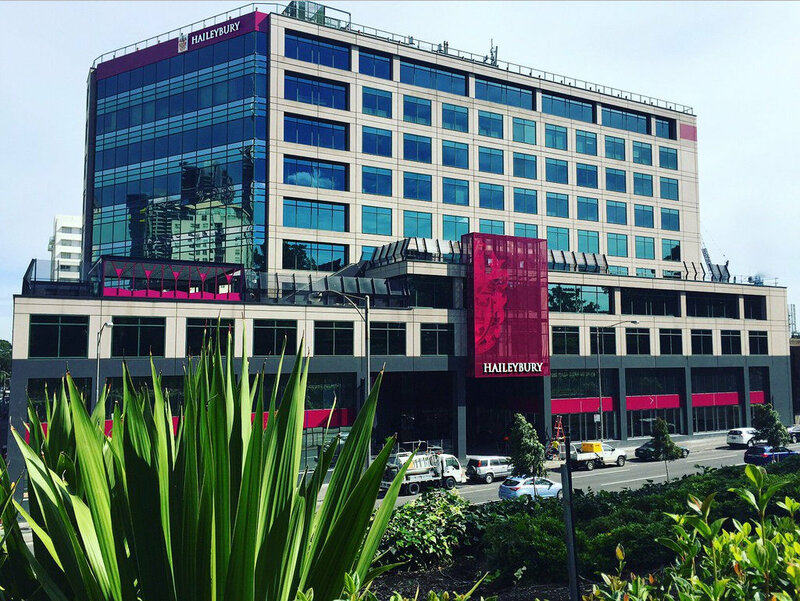 By 2050 eight million people are expected to be living closer to the Melbourne CBD and as a result Haileybury has taken the initiative in providing sustainable solutions to urban density.